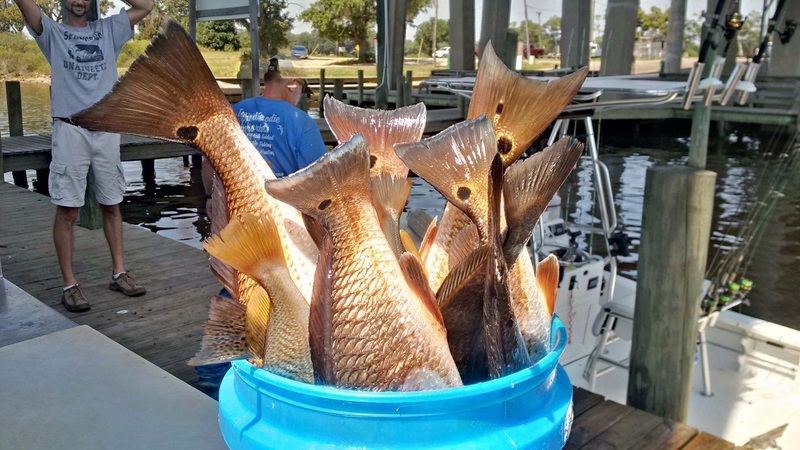 April 4, 2017 – Biloxi Fishing…Wow…Wild Fishing Today! 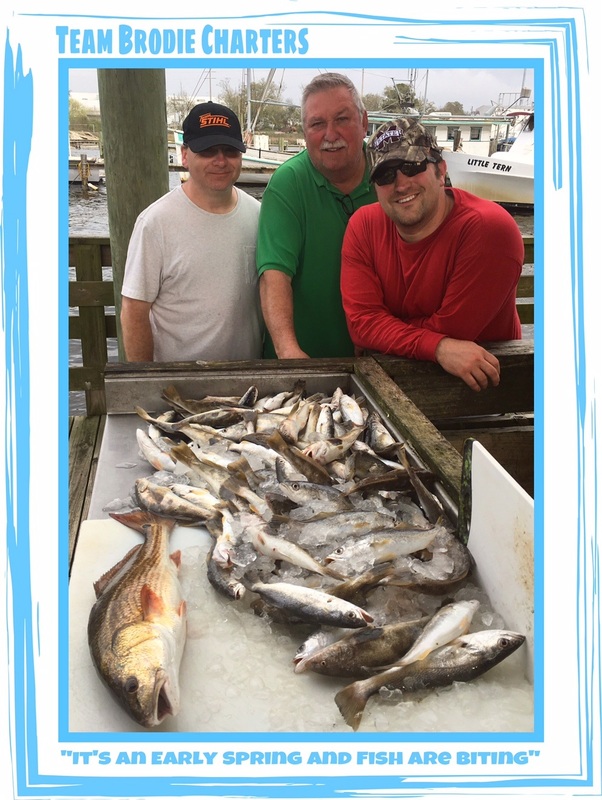 March 1, 2017 The Chad Stewart crew caught 95 tasty white trout and ground mullet, and a fine redfish in Biloxi Bay. 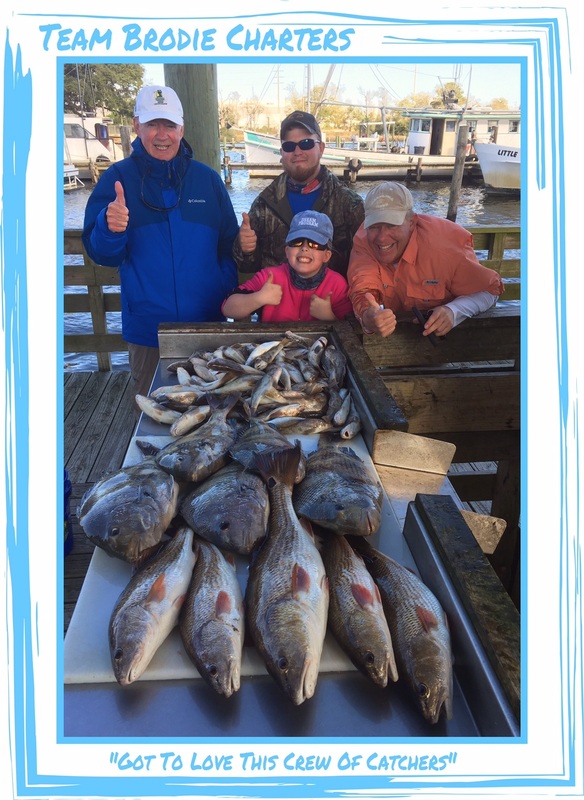 February 26, 2017 – Anglers Tommy O’Keefe, James Denton Parish, Robert Culbertson, and his daughter Gracie with a fine Biloxi Bay catch of redfish, sheepshead, white trout, and ground mullet. 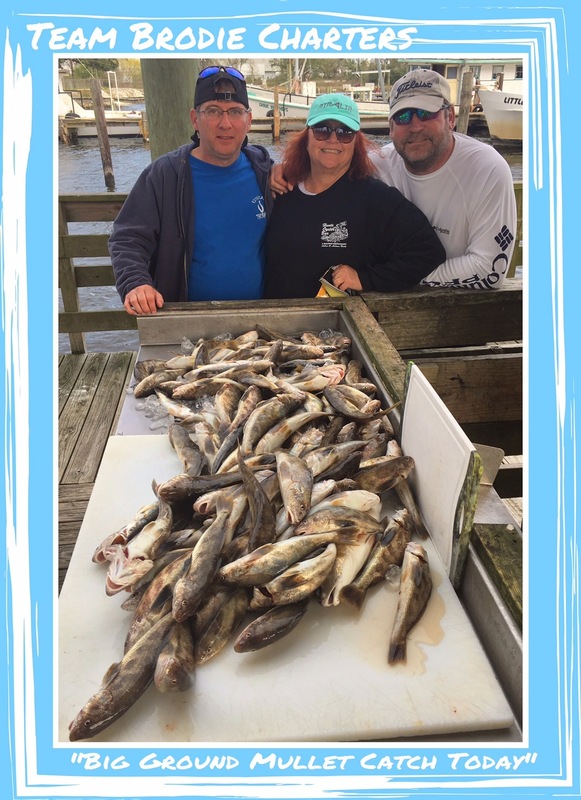 February 20, 2017 – The Hunter Isaacs group with a fine catch of 130 southern kingfish aka “ground mullet” caught bottom fishing in Biloxi Bay.